Dust off your old LEGO sets and play as your favorite characters in Funcom’s re-release of LEGO Minifigures Online! A videogame intended for all ages truly is a rare sight to behold these days. The modern market is chock full of titles for adults and kiddies alike, but few among them have the ability to appeal to both parties. A game geared for adults may possess themes unfit for younger players, whose titles are often too easy or saccharine for adults to take seriously. Funcom’s reinvention and re-release of LEGO Minifigures Online swiftly breaks down this age barrier and provides ample amounts of entertainment for adults and kids alike. LEGO Minifigures Online reaches back through time and brings back all of the different worlds of the original LEGO sets. Each map, separated by a hub world cleverly disguised as a LEGO toy store, brings pirates, aliens, knights, and demons together in a nostalgic mashup of childhood playtime. Every world is crafted with extreme care, utilizing the many different shapes and pieces found in both old and new LEGO sets, and the wide variety of playable and enemy figures is astounding. The storyline is fairly goofy from a Saturday morning cartoon standpoint, but the voice-acted dialogue and overall jovial tone sets players, both young and old, at ease. As a MMO, LEGO Minifigures Online offers the experience of both story driven and community based gameplay. Travel world to world on your own to defeat the various mega bosses, or gang up with a team of buddies and wreak havoc on the semi-destructible scenery. 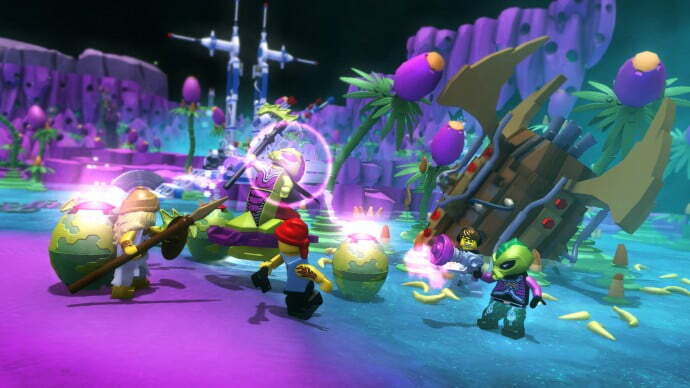 The game’s plot sees players traverse a grand assortment of colorful landscapes, and though most of the missions revolve around eliminating a main target or acquiring a new LEGO figure for your ranks, that creeping sense of repetition rarely seems to take root. The game’s iOS and Android compatibility with full crossover for player profiles also adds to the game’s family friendly atmosphere, allowing parents to play with their children or friends to play with one another on the go. While some parents may balk at the thought of leaving their child unattended in an online community, Funcom seems to have taken the utmost care in keeping a watchful eye on the world. Along with full-time moderation and a sophisticated chat system censor, the game also boasts full COPPA and KidSafe compliance. Usernames are generated via a set of three random word tumblers, and personal information for profiles is kept to a bare minimum. Overall, your personal information is probably safer here than it would be were you a government employee in the United States. Rock out with the redcoats! Am I a hot dog or a swashbuckler? The main focus of the game is easily the sheer amount of different play styles available across the 100+ characters. While player stats might not prove as complex as Diablo or a MOBA like League of Legends, the different abilities, movements, and buffs each character possesses makes for a truly varied experience. 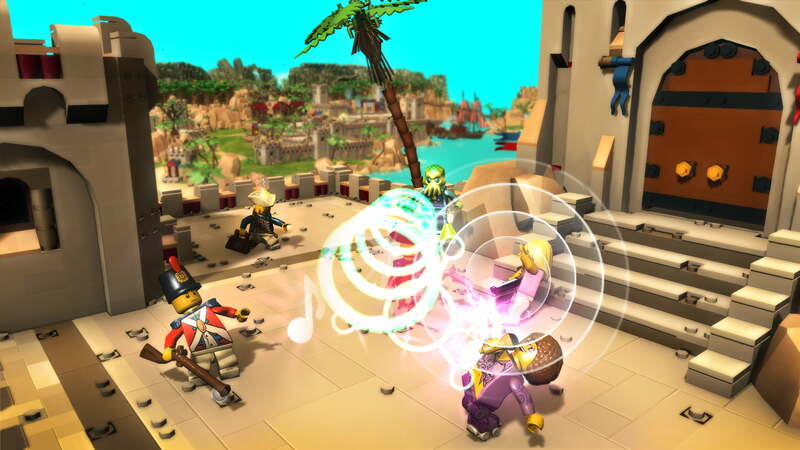 From hand-to-hand combat with the Hot dog Man to precision shooting with the Revolutionary soldier, half the fun in LEGO Minifigures Online comes from trying out as many combinations with your friends as possible, which is made all the more easier with the game’s new pay-to-play system. Back during it’s initial launch in 2014, LEGO Minifigures Online operated as a free-to-play MMO with in-game purchases. Different characters could be purchased via microtransactions or acquired through special codes found in the bags of select LEGO sets. While the game still allows players to enter codes found in physical LEGO sets, the developers have done away with the microtransactions, instead making it far more likely to find figure pieces or acquire other playable characters through story missions (and anyone who spent ANY money in the original LEGO Minifigures Online will receive access to the new version for free, along with a transfer of their in-game progress). While I enjoyed the gameplay experience and social atmosphere, there are a few shortcomings I feel the need to point out. Though there are already a few boatloads worth of characters to play as, Funcom has no intention of teaming up with franchise sets such as DC, LOTR, Harry Potter, or Jurassic Park, as many LEGO games have in the past. While this isn’t damning in and of itself, it still feels like a major blindspot. A second hitch in an otherwise fantastic entry to the LEGO world is the limited set abilities per player. Each figure possesses one basic attack and one super attack, and while these vary across each character, they tend to become over-spammed if players find a figure they like and want to stick with. Offering alternative basic moves or super moves would certainly have increased gameplay novelty. One aspect that players and critics may point to as a fault is the limited building and crafting the game has to offer. The construction of cannons, health stations, and other crazy contraptions are all scripted, and often only appear when necessary for the plot to continue (such as beating a boss). While this limits the scope of creativity, it is certainly not an oversight by the developers. Funcom’s focus was on the diversity of the minifigures and the development of a friendly online community, not on world building (LEGO Worlds is just around the corner, guys), so any effort put into freeing up the crafting system would have easily detracted from LEGO Minifigures Online’s core gameplay goals. LEGO Minifigures Online is a quirky MMO with something for everyone. Play as your favorite LEGO characters from as far back as Series 1, and enjoy the thousands of combinations of teammates and powers the extended cast of characters has to offer. 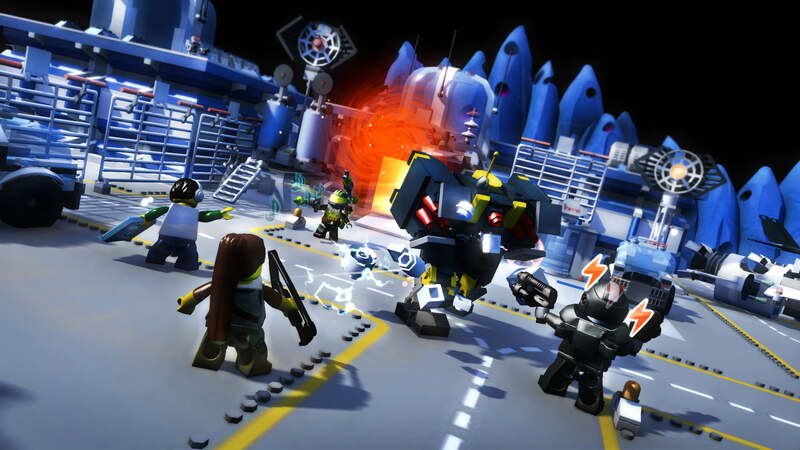 The game features a kid-friendly community and cross-platform compatibility with iOS and Android, and the straight-from-the-box feel of the environments and enemies brings with it a sense of nostalgia from younger brick-building days. While they may miss out on the more recent LEGO franchise crossovers and limit each character's continued playability, LEGO Minifigures Online does a fantastic job of delivering an entertaining, Diablo-esque experience. Wow… what a great post! Thanks for the info, you made it easy to understand. BTW, there is an online service through which you can merge any PDF files, the link is here http://bit.ly/1YonASo .